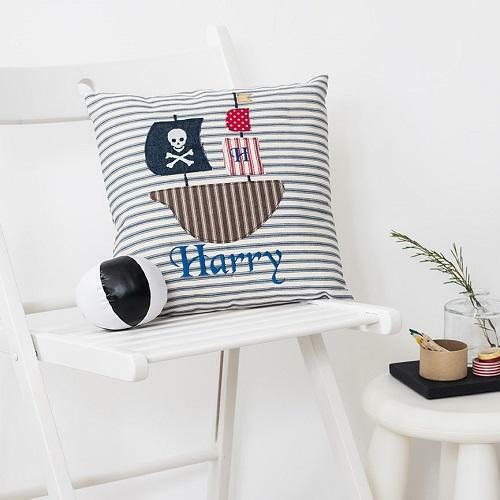 This lovely pirate ship applique cushion is sure to be a hit with any pirate mad little one! 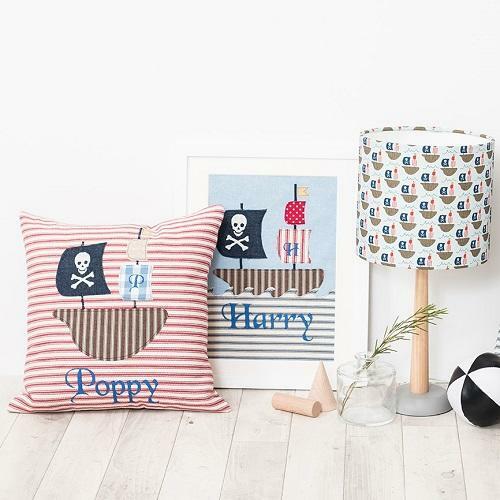 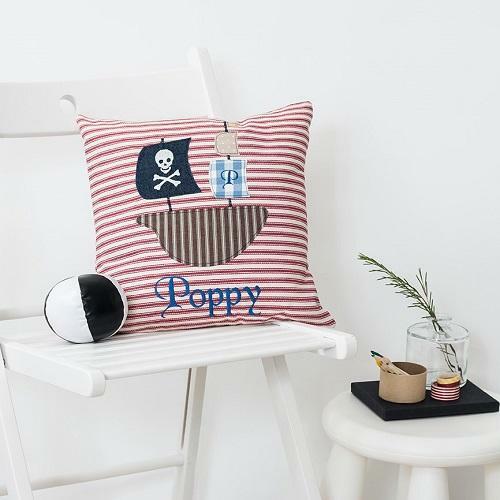 This handmade pirate cushion, is made from soft red ticking stripe cotton with both applique and embroidery, it makes for a colourful addition to a childs room. 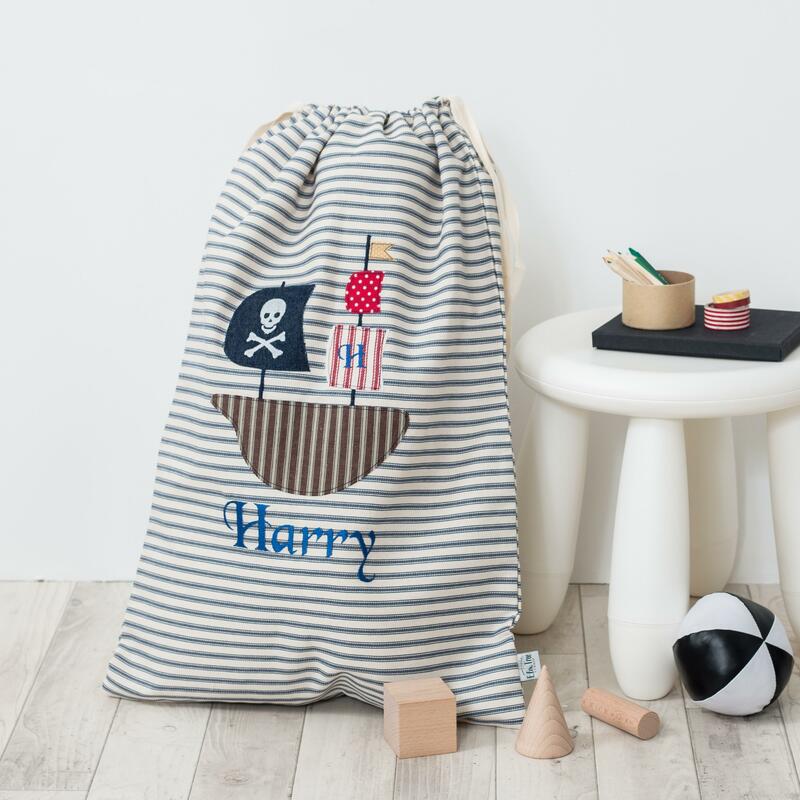 Combining denim, ticking stripes and spots give this pirate ship colourful sails and the Jolly Roger flag detail is embroidered onto its denim sail. 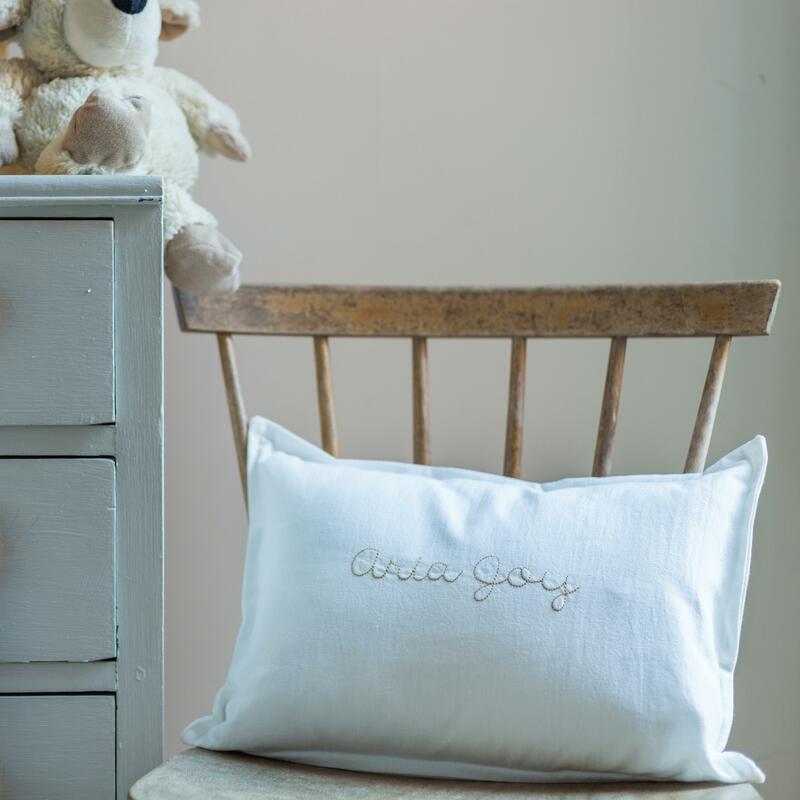 An embroidered initial on one of the ships sails adds an extra personalised touch. 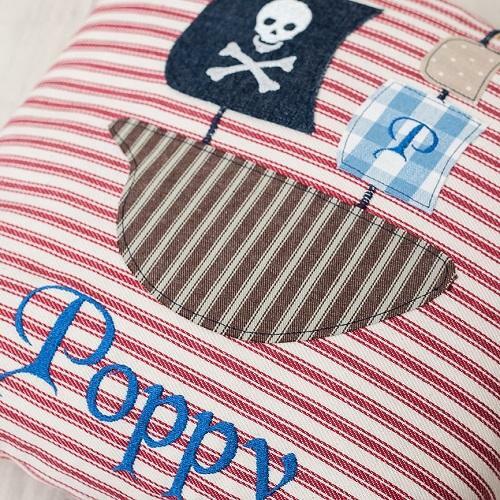 The name is embroidered underneath using a pirate themed font. 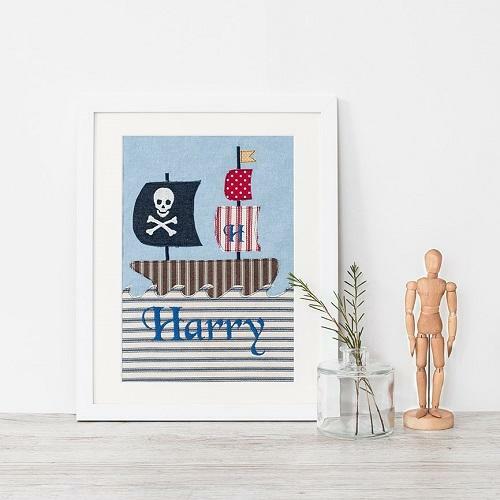 This would make a perfect gift for any little pirate. 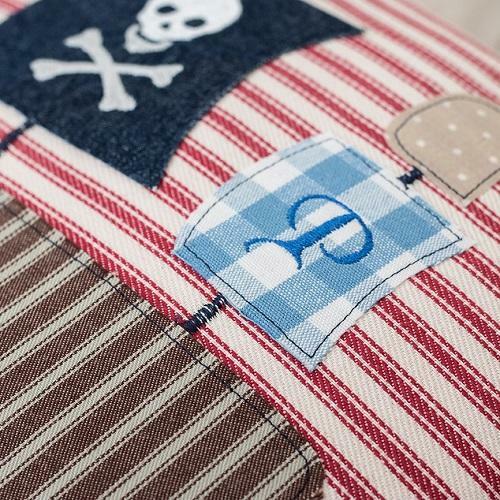 This cushion coordinates with our pirate ship laundry bag. 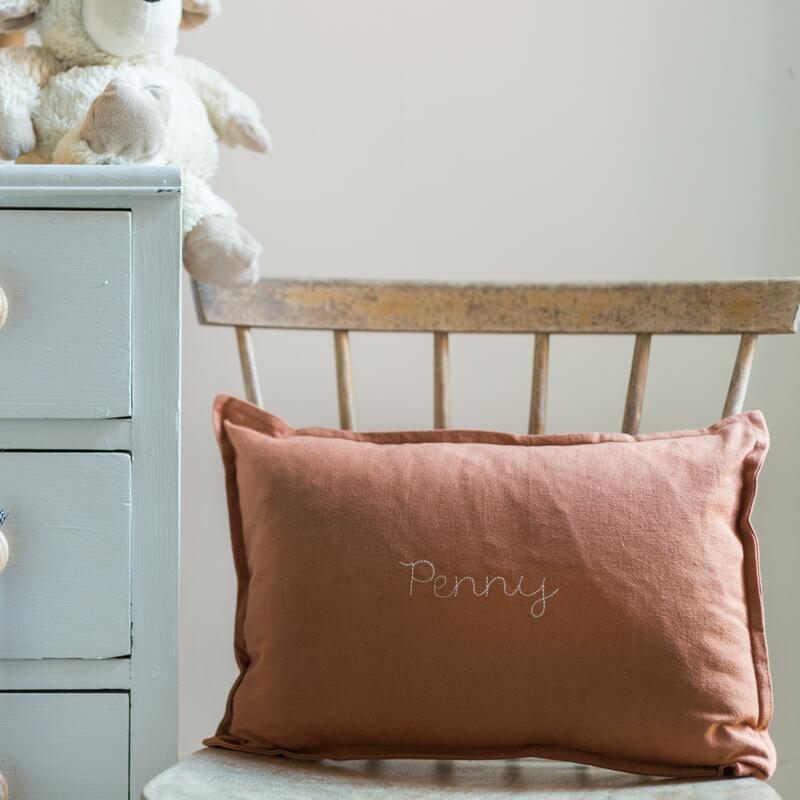 The cushion is supplied with a luxury feather filled cushion pad. 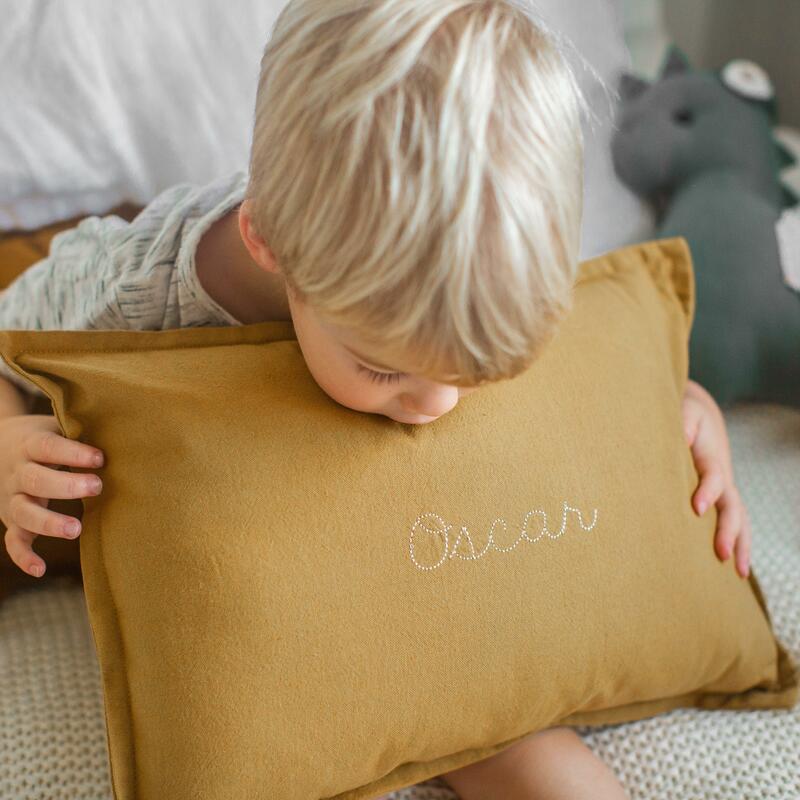 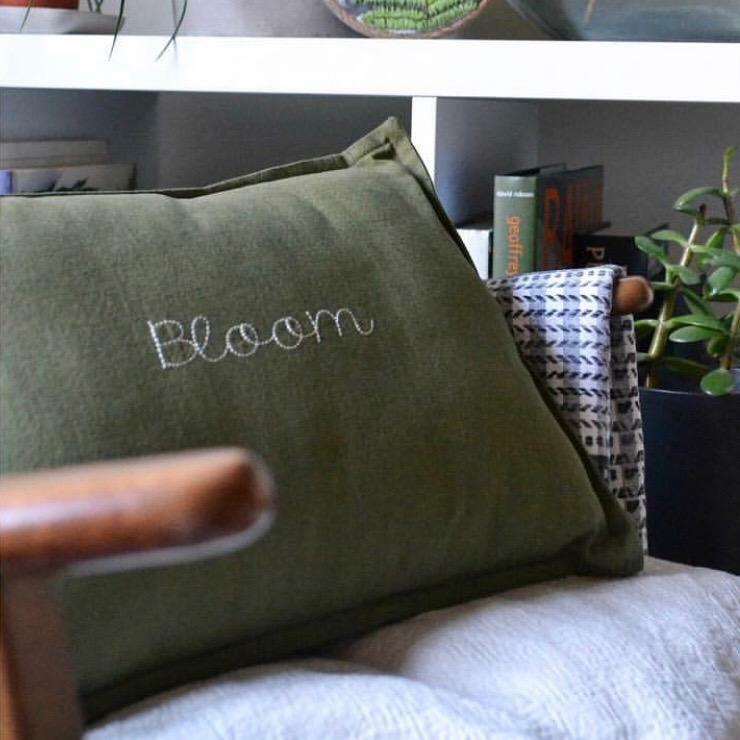 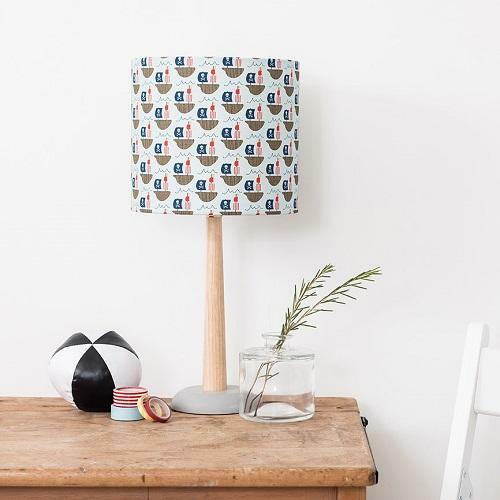 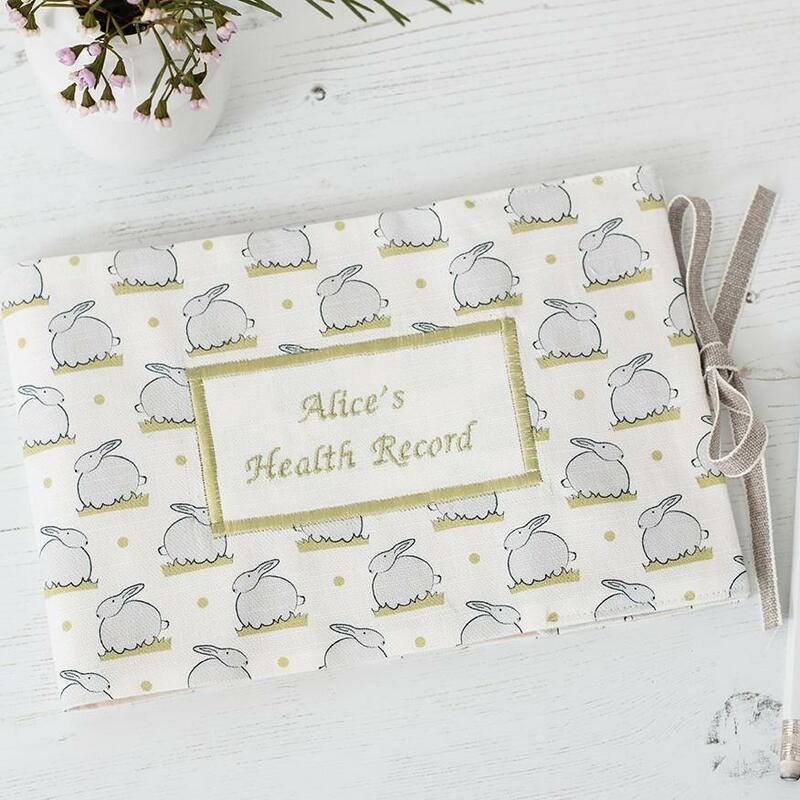 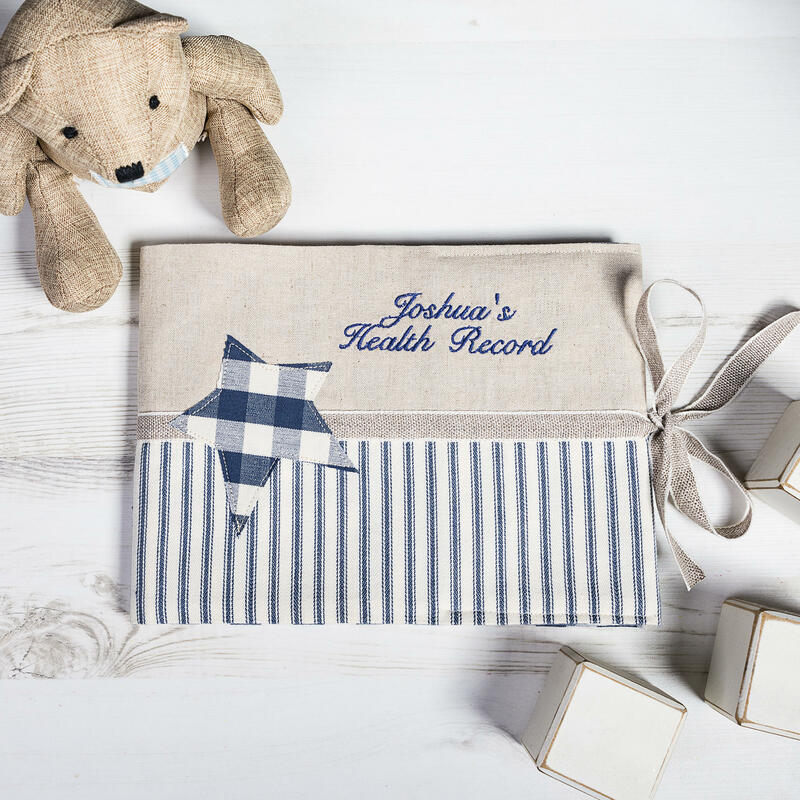 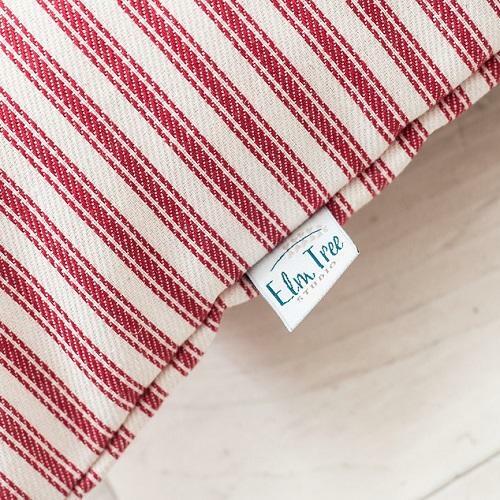 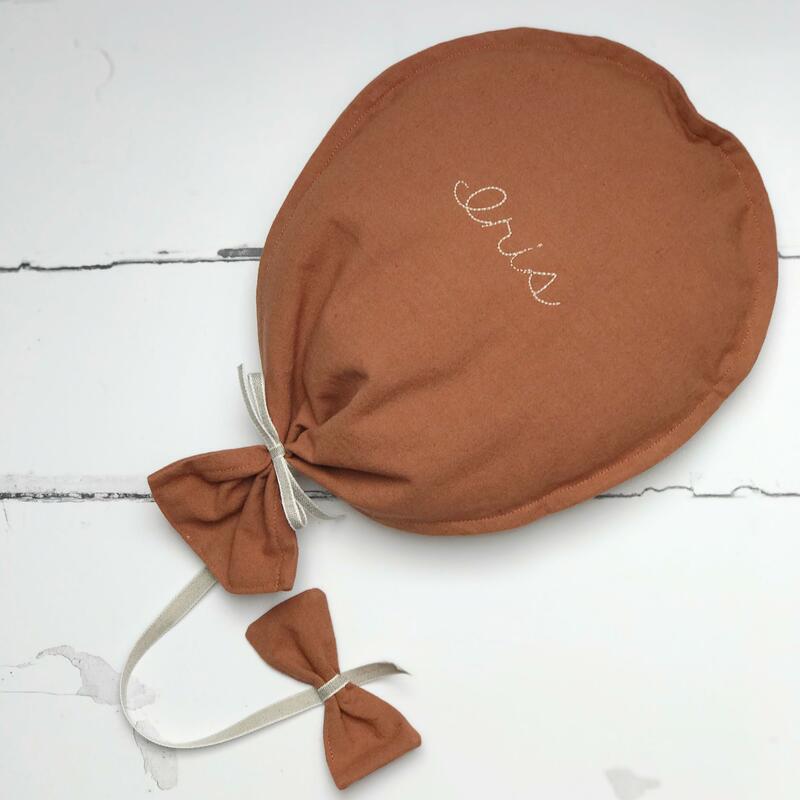 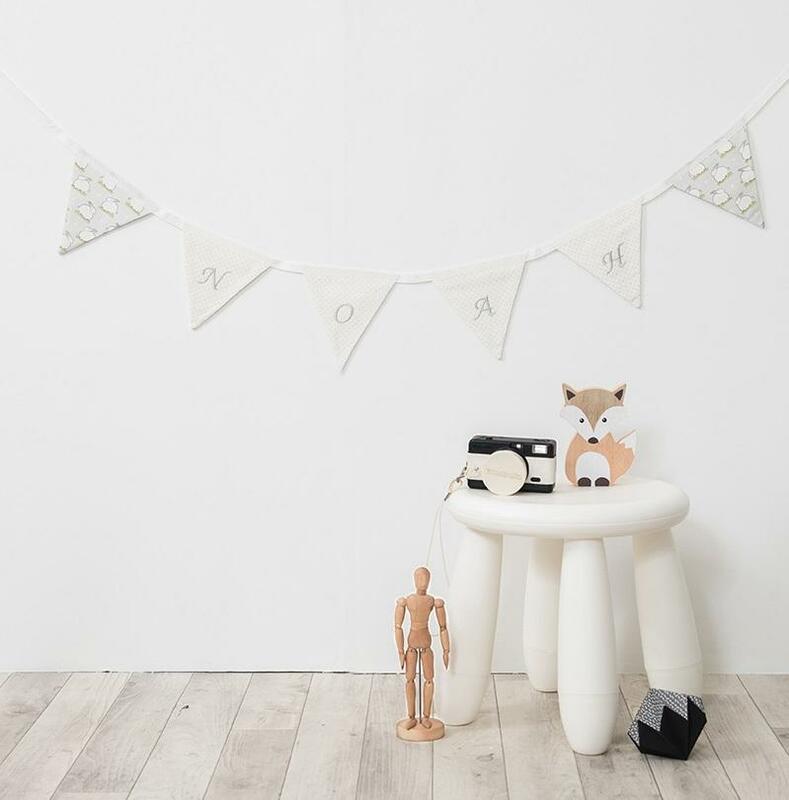 The cushion has an envelope opening and features our wooden Elm Tree Studio branded button.